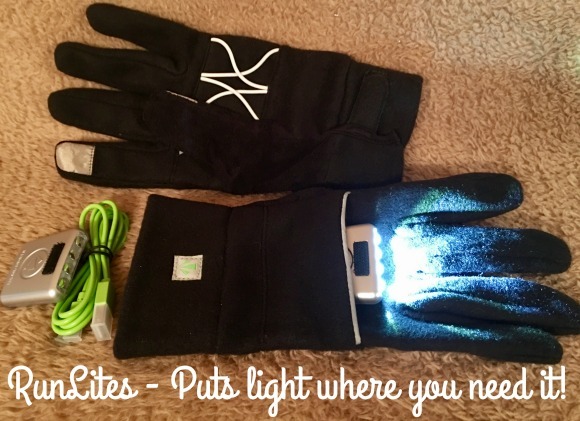 Stacy Tilton Reviews: RunLites - Puts light where you need it! RunLites - Puts light where you need it! Sometimes I have to take the dog out at night to potty when my son isn't home and living in the country it can get pretty dark. If you've ever tried to use a flashlight and hold a dog leash at the same time I'm sure you've had the same troubles as I have when it comes time to unhook the leash at the kennel. Yes there's a loop at the end you can put around your wrist, but we all know what happens when pup decides to take off unexpectedly. That loop slides right off your hand. It's like she knows you're not firmly holding on anymore. So for me I prefer to keep my hands as free as possible when I go outside at night. That's where these cool RunLites come in handy. By wearing them I can use the lights inside the top of them to light my way all while holding firmly onto Java's leash. They are also nice when you forget to leave the porch light on and need to see to unlock your door too I might add! The gloves are very comfortable and you really can't even tell they have lights in them unless you're really looking for it. I like that the lights are rechargeable so I don't have to worry about a battery pack that would add extra bulk. 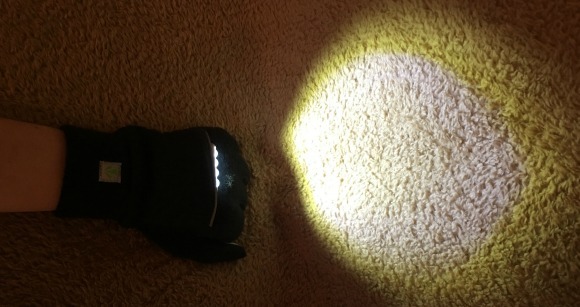 RunLites gloves are a lightweight, wearable, hands-free lighting solution ideal for outdoor activities. Carrying a flashlight can be burdensome, wearing a headlamp is uncomfortable and bringing a lantern isn’t always an option. Put light where you need it while setting up your tent, starting a fire or walking through the woods with RunLites. • Available in sizes small - 2X-Large. These look really nice and I love the visibility!